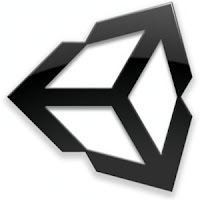 There has been some news in past about Unity3D game engine coming to Linux. Now yet another discovery has triggered debate over this. However there is both good news and bad news this time. Good news first. Simon Wittber stumbled upon BuildTarget enum for Linux while exploring Unity3D API. He has not tried it yet but looks like Unity people are working on Linux support. The bad news is that Emil Johansen who works for Unity Technologies has commented on Simon Wittber blog post about Linux support and it is not really encouraging. It's not a secret that people have been working on/off on Linux support during FAFF for a while. We've confirmed that a couple of times on the forum and elsewhere. The fact remains though, that we're not ready to dedicate the required time and resources to take on the linux platform at this point in time. FAFF means Fridays are for Fun where Unity devs experiment with new stuff on every Friday. Though its good to see work done for Linux support, it saddens me that its not a priority. I was really hoping that Linux development will be accelerated after some cool new features were shown off at Unite 11.